Last week the tale was told of Frank Henning, a bank teller at the Farmers Bank of Schaumburg, who confessed in a letter to bank stockholders, that he embezzled $40,000 to speculate in the stock market. Hoping to earn it back, he escaped to New York City on New Year’s day but, within a couple of weeks, was tracked down by the Burns Detective Agency. The year was 1914 and Mr. Henning would not stay in New York for long. In fact, as reported in the Rock Island Argus on January 17, Governor Edward Dunne “issued a requisition for the return from New York city of Cashier Henning.” By the 22nd, Henning was on his way back to Chicago to await his trial. And the next time we hear of him? It is the end of May. And who has he hired as his attorney? 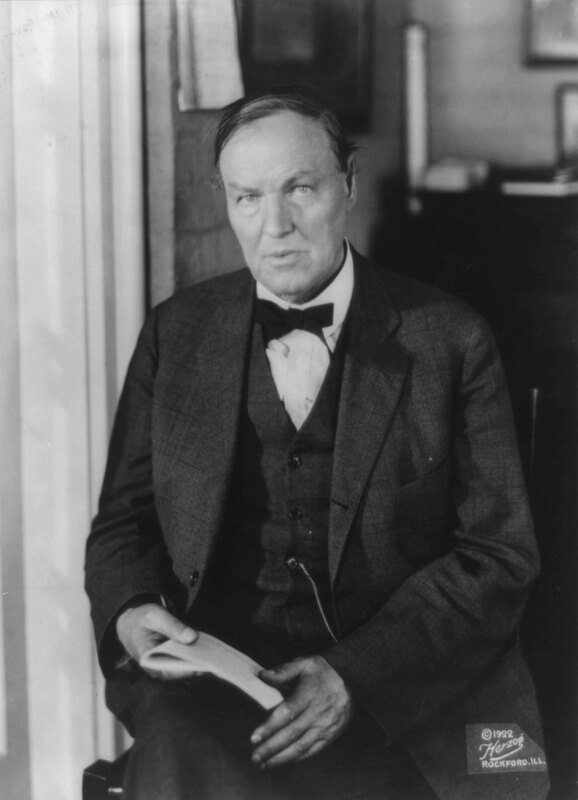 None other than a defense attorney named Clarence Darrow. And for this particular criminal case, the 57-year-old Darrow ingeniously supported his client by basing his defense on the fact that the Farmers Bank was a private institution and not legally incorporated. This would prove to be the crucial point in the trial. In response, Judge McKinley, sustained this contention and took the case away from the jury and the court convened for the day. On the following day, Thursday, May 28, 1914, Frank Henning walked out of the courtroom a free man. Mr. Darrow had done his job. Ten years later, in 1924, Mr. Darrow would rivet the world with his 12-hour long closing argument in the Leopold and Loeb trial. One year later in 1925, Mr. Darrow’s defense of John Thomas Scopes in the Scopes Monkey trial would truly establish his worldwide fame in a trial that focused on the right to teach evolution in public schools. Taking on cases such as Frank Henning vs. Farmers Bank of Schaumburg in 1914 was a step in his rise to legal greatness. 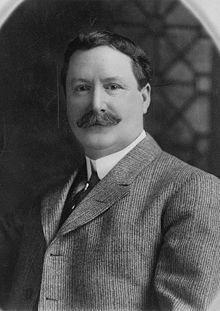 Farmers Bank of Schaumburg bounced back from the embezzlement and even survived an attempted robbery in 1921 when Herman Freise, president of the bank, personally thwarted the robbers. It would not outlast the Great Depression though, and eventually closed in 1933. Very few banks were immune during those harrowing years, and private banks and the banking system as a whole struggled. New regulations and protective practices such as the FDIC were put in place to protect both the institution and the investors. Unfortunately, it was a little too late for a small bank in Schaumburg Township. Journal of the Illinois State Historical Society; Volume 107, Number 2, Summer 2014; p. 243. On Friday morning, January 2, 1914 the head cashier of the Farmers Bank of Schaumburg, walked through the bank’s front door and was greeted by a letter addressed to the directors. Written by Frank Henning, the assistant cashier, the letter told the story of how he had embezzled $40,000 from the bank so that he might speculate in the stock market. He’d lost all of it–every single penny–and he begged to please, give him a chance, and he’d repay it. Then he left town leaving only the letter to answer for his crime. 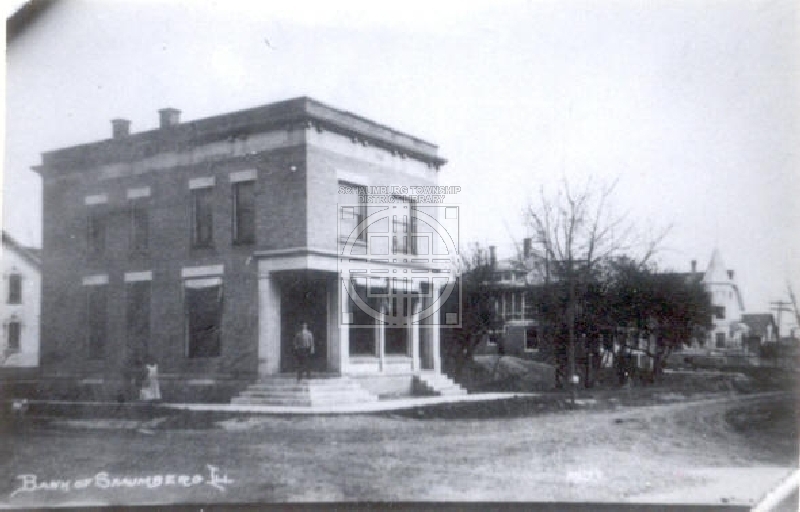 The bank had opened in 1910 on the northeast corner of Schaumburg and Roselle Roads with a first day’s deposit of $21,000. 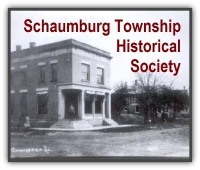 The bank was a source of pride for the hard working German farmers of Schaumburg Township who were pleased to have their own local institution to hold their savings. Fast forward three years later and the 22 stockholders were holding a hurried meeting on Saturday, January 3, 1914 to discuss the details of the crime and figure a way to keep the bank solvent. It seemed that Mr Henning, who had been with the bank since its beginning, left his home on New Year’s Day, telling his wife and 2 year-old daughter that he was going to attend a theatre party in Chicago that evening. Instead, he posted one letter to the bank and one to his wife confessing his crime. The bank’s letter contained a $1000 bond and Mr. Henning’s $1000 certificate of stock in the bank. It was all that was left of his tenure and he probably would have raised a red flag had he earlier tried to cash in the bond. He also left promissory notes made out to the stockholders that were due over a period of six months to five years in the future, with his guarantee that he would return the money. In addition, he told them he was travelling to Omaha to begin working on that process. In an immediate response, the stockholders raised the capital stock from $25,000 to $50,000 with each of them putting up close to $1500 to cover the loss. They also hired a clerk from the First National Bank of Elgin to do an audit of the books. Lastly, they hired the Burns Detective Agency, led by William J. Burns whose photo is shown below, to find Mr. Henning so that he might be brought to justice. Warrants for his arrest were placed on the following Monday. His wife was just as upset and puzzled as the stockholders. The family lived on the second floor of the bank and after the embezzlement returned to a nearby town to live with their immediate relatives. Mr. Henning, however, wasn’t on the lam for long before he made a crucial mistake. He sent a letter to a friend asking about his wife and daughter and must have included his whereabouts in the text. Either the friend turned it over to his wife or to the Burns Detective Agency, because it didn’t take them long to determine that Mr. Henning was not in Omaha but in New York City. 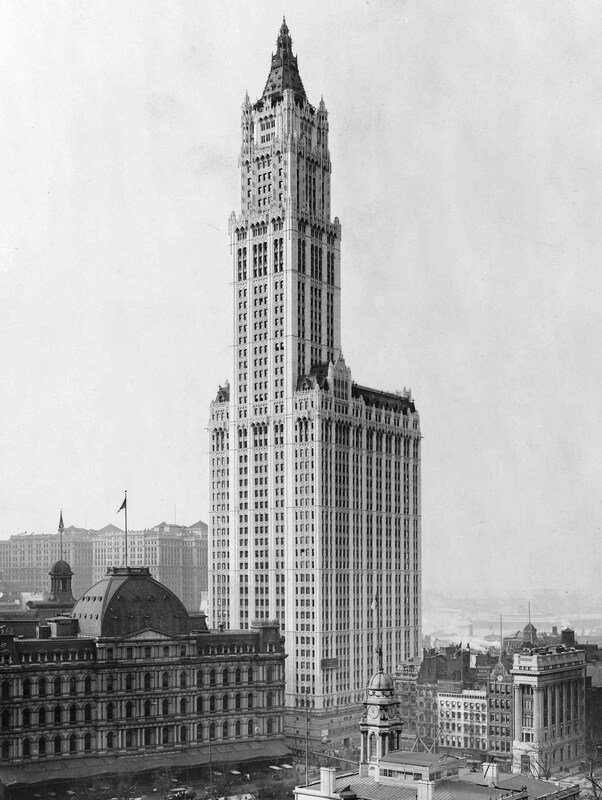 By January 13 they had tracked him down in the Woolworth building [shown below] and taken him into custody. In the same article he mentions how he arrived in New York with $2500 that he had on account with a Chicago broker. Thinking he might get a law degree and make the money back more quickly, he talked to a number of law schools—including Fordham—and discovered that none of them “would graduate him in six months.” Shortly after, the detectives tracked him down.